What the heck, I figured. If you’ve got these songs by the delightful band ABBA in fabric for decades like I do, why just sit there? Besides, this sequel directed and written by Ol Parker has some meat on its plot, too. It guess I’d call it one beautiful hot mess. For one thing, it time travels between 1979, when Young Donna is graduating from Oxford with her carefree best friends that become her singing trio. She travels to the island and meets the young men that would become Sophie’s three fathers in the original film. Lily James is a powerhouse as Young Donna, and Amanda Seyfied shines as concerned Sophie. 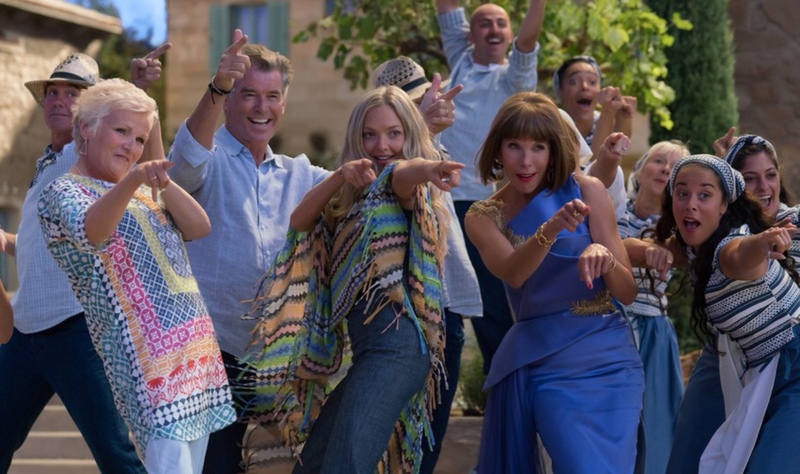 The returning dads do their best, with Pierce Brosnam, Colin Firth and Stellan Skarsgard working hard to match up with the young talent playing them as young men: Josh Dylan, Jeremy Irvine and Hugh Skinner. Cher is Cher and Meryl Streep’s cameo made my reach for my hankie to dab my cheeks. 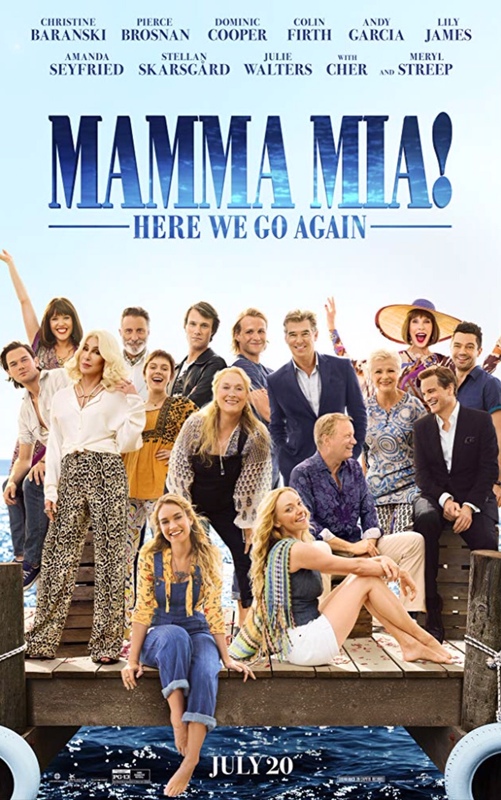 Central New Yorkers can see ‘Mama Mia! Here We Go Again’ free at 1:30 p.m. Tuesday, Jan. 29, and 6:30 p.m. Thursday, Jan. 31, at the Liverpool Public Library. I’ve not seen either…but you tempt me. You would be sucked into the drama and music, MBC. It’s a winner in my book, Beth.